We devised a stunt, as part of a wider sampling campaign for Danone’s ‘super thick’ new yogurt Danio, where kids could ‘walk on yogurt’ in an oversized pot! They loved it, an unusual experience that we are sure resulted in many ‘what I did at the weekend’ entries in workbooks the next week! 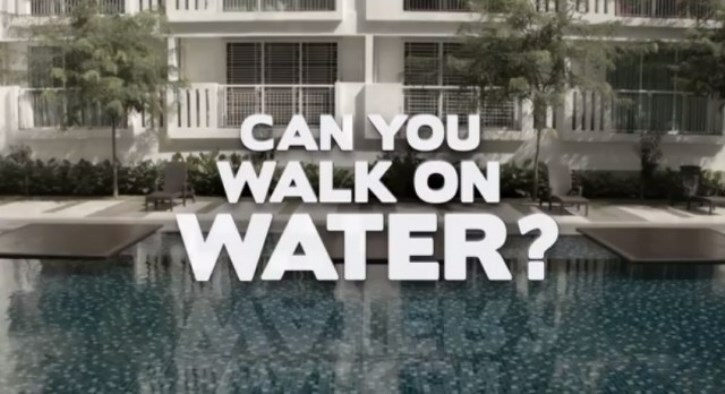 This week we spotted this nice live experience from Hong Leong Bank that also used Oobleck, inviting people to dash across a large pool of it in a ‘walk on water’ stunt. The bank created a great atmosphere around the experience and the result is this nicely produced video that has picked up over 5 million views in a matter of days.